From this page you can access a wealth of information related to generating Alternative Revenue at your station. Click on any of the links below to begin. 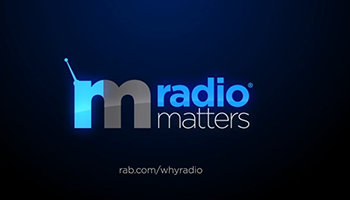 See how some of America's biggest brands have used Radio to build brand and drive sales in this select collection of national case studies. Recommended for: Seeding and proposals. This continually updates guide offers a look at what top advertisers are sponsoring nationally, i.e., Eckerd Corp. - Arthritis Foundation; C. Penney - Second Harvest; Kraft Foods - Boys & Girls Club; Quaker Oats - Breast Cancer Survivor Program; etc. A listing by category (meat/poultry, dairy/eggs/cheese, seafood) of the various food councils, etc. from around the country, i.e., Wisconsin Milk Producers, California Beef Council, National Pasta Association and many more. A listing of corporate offices/phone numbers for the top twenty manufacturer categories, i.e., beverage, electronics, food, apparel, travel, etc. Upcoming promotional opportunities from RAB's Promotional Calendar. Use these ideas to create exciting and fun promotional events for your clients. Explore our searchable database of over 1,000 promotional ideas in more than 160 different client categories. Take a peek at Non-Traditional Revenue - Take Your Proposals to New Heights, Volume 3. You will find a list of over 70 proposals. Marketing and partnering with clients in the package goods industry is a whole new ball game. To help ensure a smooth ride, you'll want to become familiar with their terminology. This guide exposes you to hundreds of terms that you will need to know or be familiar with in dealing with manufacturers and retailers.